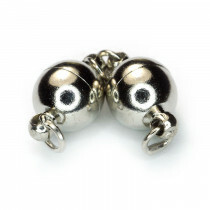 Pack of two shiny silver brass hook and eye clasps. 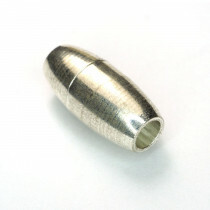 Size ~11mm wide, 36mm long, hole size 5mm. 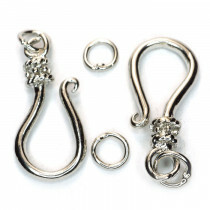 Pack or 3 silver colour brass S-hook clasps. Size ~27x13mm, hole size 6mm. 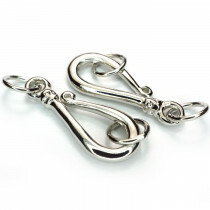 Pack or 2 platinum colour brass S-hook clasps. Size ~20x9mm, hole size 3mm. Pack or 2 platinum colour brass S-hook clasps. Size ~27x10mm, hole size 2mm. 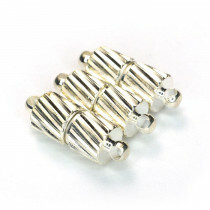 Pack of 10 platinum colour brass screw clasps. Size: 13x4mm round, hole:0.5mm. Pack of 2 platinum colour brass magnetic clasp clasps. Size: 8mm round, hole:2mm, total length 12mm. 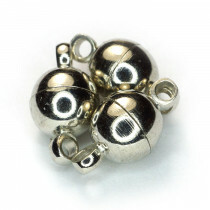 Pack of 3 sliver colour brass magnetic clasp clasps. Size: 5mm round, hole:1.2mm, total length 15mm. 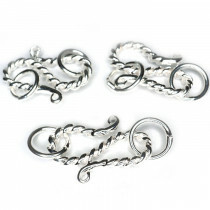 Pack of 3 platinum colour brass magnetic clasp clasps. 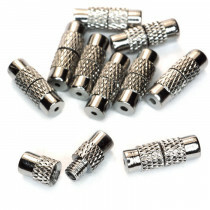 Size: 6mm round, hole:1.2mm, total length 11.5mm.